Planning Your Wedding? Start Here! 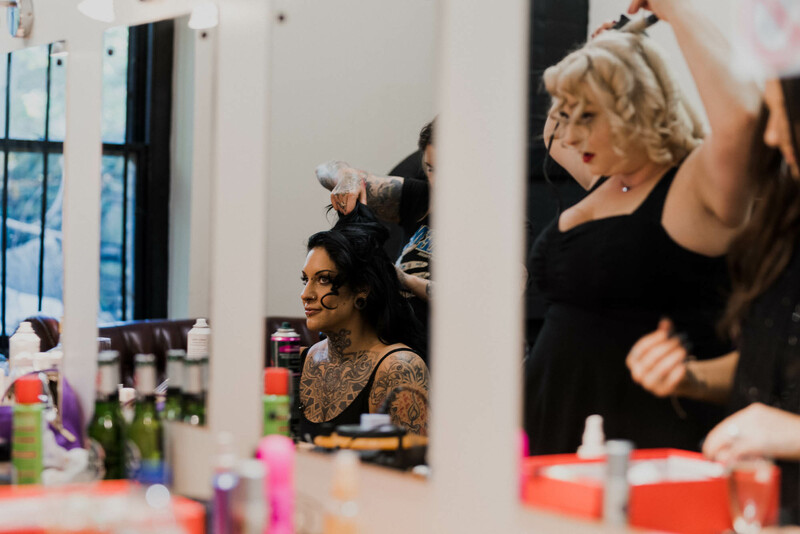 Back in the olden days of wedding photography you would not have seen bridal prep photos included with the standard service. That was when wedding photography was all about capturing a single bridal portrait to sit on the mantelpiece for generations. Whilst bridal portraits are still very much a thing, wedding photography has moved on to include documenting the emotions of the whole day. 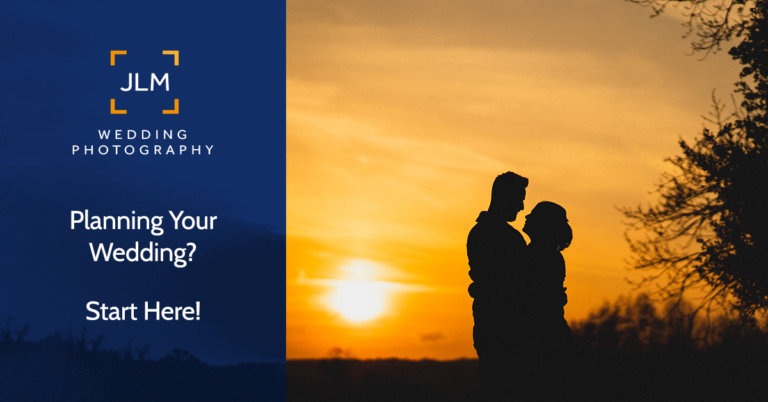 Got questions about wedding photographers in general? 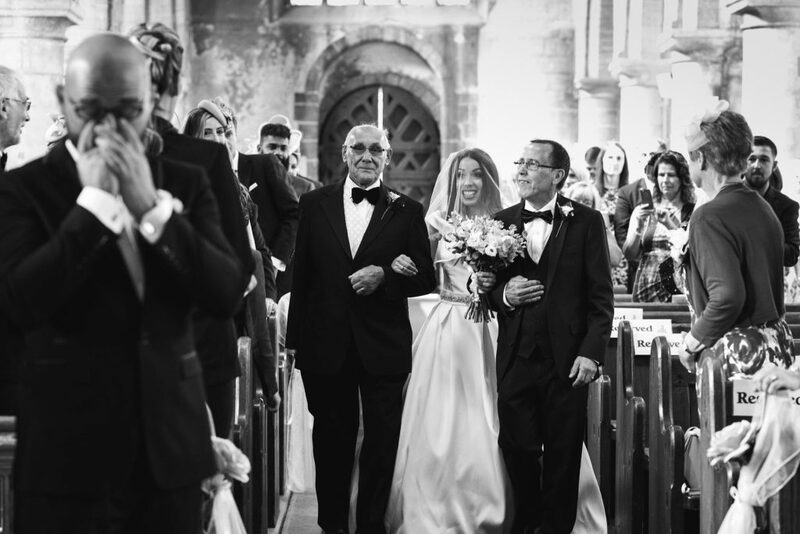 Have a look at my hugely popular article: Why Do Wedding Photographers Wear Black? Some of the finest raw emotional moments happen during bridal prep. Let’s face it, the morning of the wedding day is all about the bride. Yes there’s a groom somewhere out there too but he’s probably going to spend the morning on the PlayStation until about 10 minutes before the car arrives. As a bloke I used to wonder why on earth it could take 5 hours to get a bride into her dress. I now know that the morning of the wedding day is about so much more than applying makeup and getting ready. As a side note, I still get blown away by how many hairpins can disappear into a hair-do, the things you girls go through. 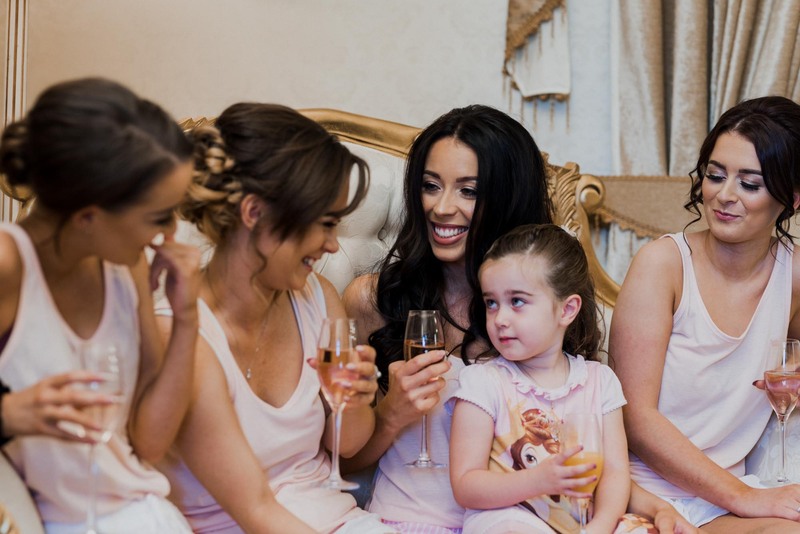 For the bride-to-be it is as much about spending that time with her closest friends; sharing the beginning of her most special day with her bridal party. 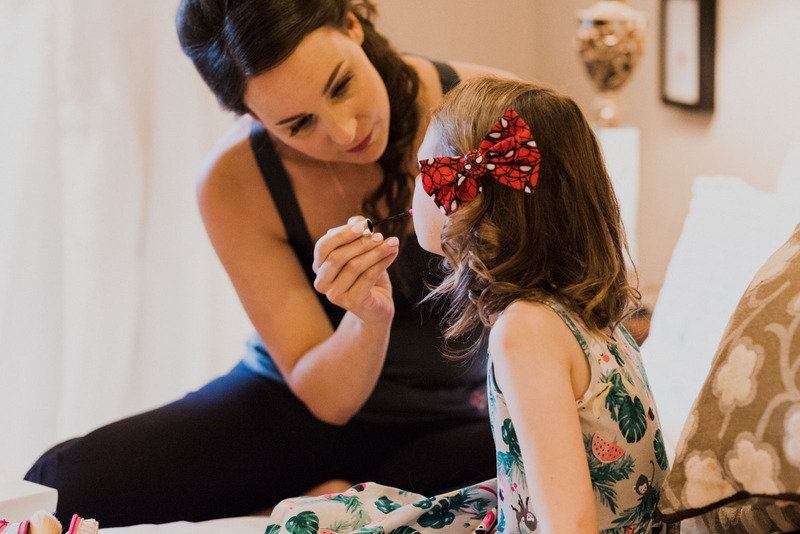 The reason I am writing this is because I wanted to try to show what bridal prep is really all about. 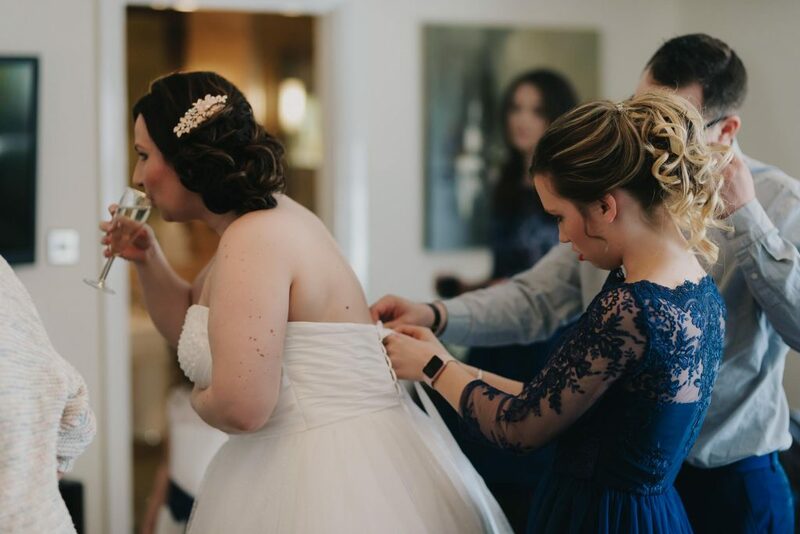 These are all my photos taken from bridal prep from various weddings throughout my career. I have selected these because they represent the roller-coaster of emotions that the wedding morning brings. Ever wondered why it is considered bad luck for the groom to see the bride before the wedding ceremony? You might not like the answer. This tradition actually comes from arranged marriages. The bride’s family would conceal her appearance from the groom until it was too late for him to call it off. 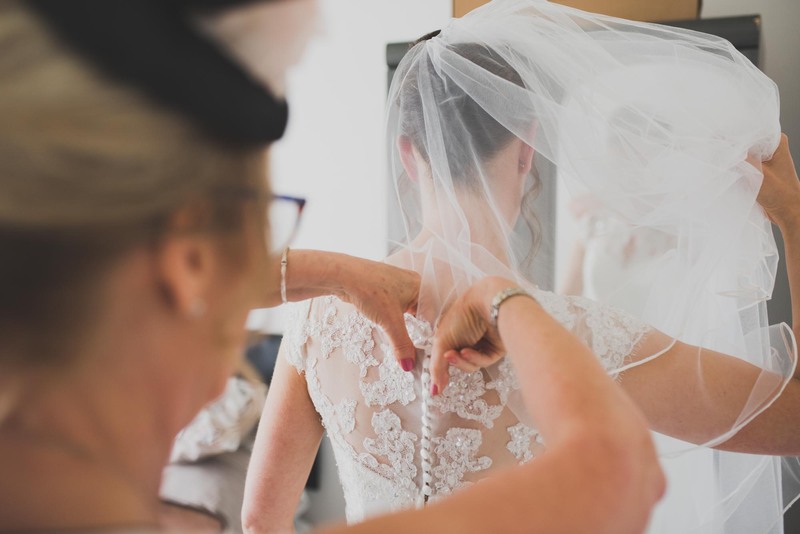 I think the reason this tradition has stuck around beyond arranged marriages is because of the powerful moment as the groom sees his bride to be in her wedding dress for the first time. Look out for the collection of Dad photos at the end. Having a 7 year old daughter myself, the moment a father sees his little girl (they will always be our little girl) in a wedding dress gets me every time. Hope you enjoyed that little selection of photos. All the above have been taken from my previous weddings. If you would like to see the full stories have a look through my blog. If you would like to talk to me about photographing your wedding get yourself over to my contact page and send me a message. 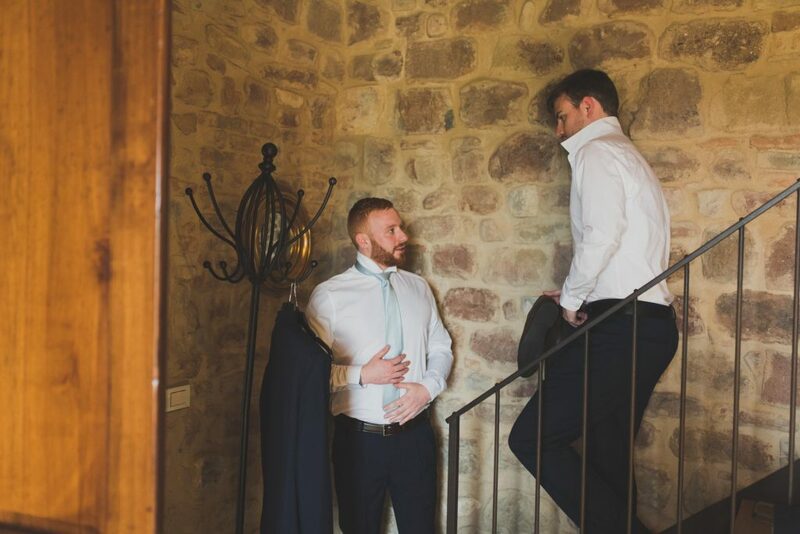 All the photos in this article were taken by JLM Wedding Photography. To check pricing and to find out if I'm available on your wedding day hit the button below.